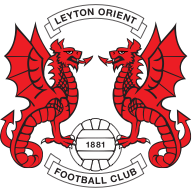 Highlights of Leyton Orient's 3-2 win over Dagenham & Redbridge in Sky Bet League Two. Dagenham's relegation from Sky Bet League Two was confirmed following their 3-2 defeat at Leyton Orient. The Daggers, who have been a Football League club for the last nine years, fought back from two goals down only to concede a late winner from Armand Gnanduillet. Jay Simpson was on hand to net two simple first-half chances that took his tally for the season to 25 goals. Firstly, Sean Clohessy delivered a pinpoint cross from the right after just three minutes for the striker to slide home from close range. It was the perfect start for Andy Hessenthaler, who stepped up from his assistant manager's role to take charge of the club for the remainder of the season after Kevin Nolan had been removed of his managerial responsibilities earlier in the week. Then, in added time in the opening period, Blair Turgott drilled the ball in from the left side and the unmarked Simpson swept the ball home. 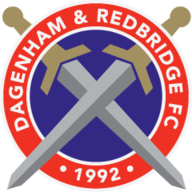 Dagenham responded with two goals in as many second-half minutes to get back on level terms. Jamie Cureton pounced on a weak back-header by Mathieu Baudry after 59 minutes before Clevid Dikamona drilled in a volley from outside the box. However, five minutes later, Gnanduillet, who had missed a couple of sitters, collected a pass from Turgott and rocketed the ball into the net. The goalscorer was immediately replaced by Ollie Palmer who soon brought two saves from goalkeeper Mark Cousins, while Simpson failed to capitalise on a number of chances to complete a hat-trick.